Calling All Readers and Selfie Enthusiasts! Okay, so I’ve had this idea. I mentioned it on Facebook and Twitter, but it was all kind of choppy and spewing out ideas. It wasn’t very organized. So I’d like to put it out there again in a more thought-out and thorough way. I’m looking for pictures of Cemetery Tours. 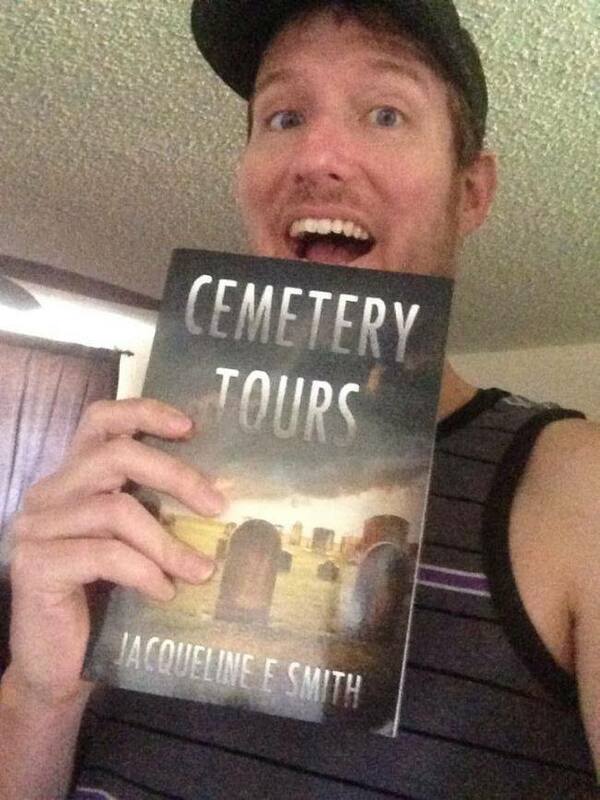 Specifically, I’d love selfies of readers holding the book (or eBook). 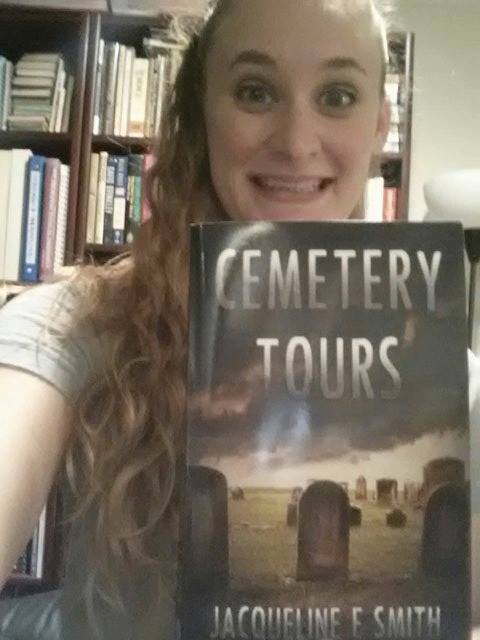 If you’re not a fan of selfies, I’d also love to see pictures of Cemetery Tours on your bookshelves. 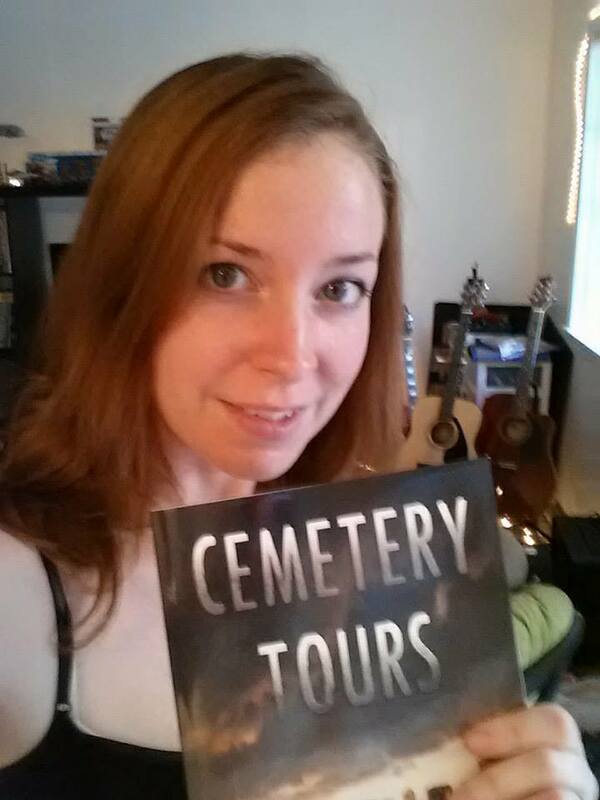 If you’d like to send me a picture and a link/bio, please send everything to CemeteryToursSeries@gmail.com. Thank you all so much, and please, if there’s every anything I can do for you, let me know! I haven’t been a very good blogger these last few days. Part of the reason is because I have been under the weather and have had to practically force myself up off the couch to do anything. Blegh. But the other reason is because, despite my pitiful existence this week, I’ve actually been pretty busy. I’ve been helping my friend Paula format her new children’s book, Jack Learns to Grill. It’s an adorable book about her pet dingo, Jack. She’s planning a whole series and I’ve got to tell you, I can’t wait to see more of her books and where they can take her. 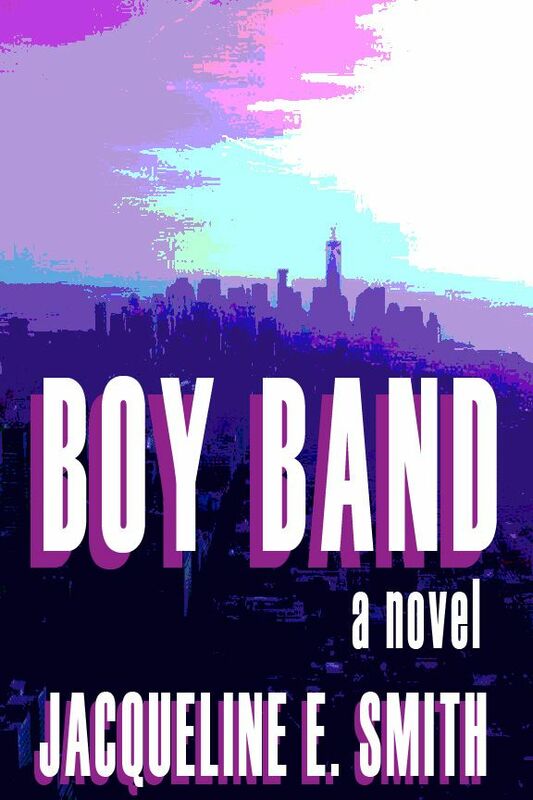 Finally, I’m about halfway through with my Boy Band revisions. I’m really excited about this book, y’all. I know I keep talking about it, but I’m REALLY excited. I really think it’s going to be awesome. And on that note, I’m off to revise and listen to Disney music before I run off to a dinner meeting. Have a good weekend, y’all! As independent artists, musicians, and authors, it is up to us to spread the word about our work, our music, and our books. On top of that, we have to do so in a way that actually makes people want to invest in our products. Let me tell you right now, it is a huge pain. I’m a writer. I like to write. I’m a terrible salesperson. Yeah, I can recommend things to people, but for the most part, I like to let people choose what they want to buy on their own. I’ve been published for about a year now, and I still think that self-marketing is awful. That’s not to say I don’t like talking about my books. I do! They’re one of my favorite things to talk about, along with dolphins, Harry Potter, and Scotland. 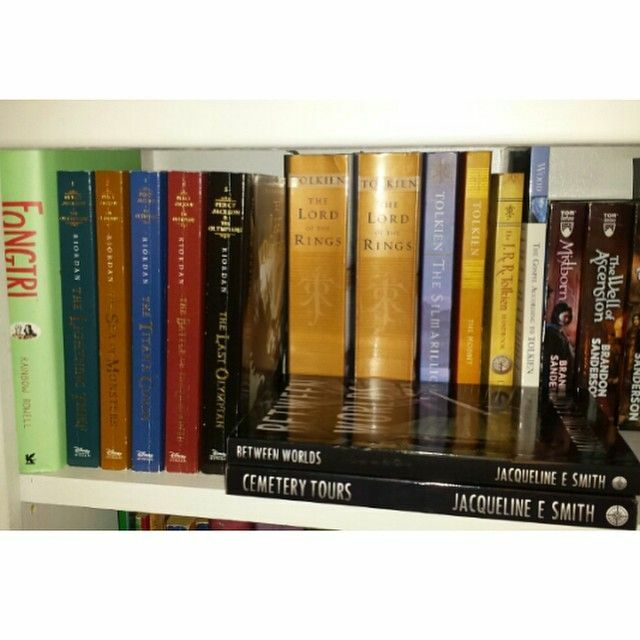 I’m so proud of my books and I really think they’re awesome. But let’s be honest. Every author thinks his or her books are awesome. You’re never going to meet an author marketing his or her book by saying, “Yeah, I wrote it. It’s okay, I guess. It’s nothing great.” No! Every author is going to say, “This book is awesome!” And that’s good. Authors should be excited about their work. Unfortunately, however, we authors tend to be very biased. An author is not going to think his or her work is anything but the best. And readers sometimes need more than an author’s word to convince them for that very reason. That’s why reviews and readers who enjoy your work are so important. Personally, I’m not very good at playing the, “Are you ready for the next hot paranormal read? 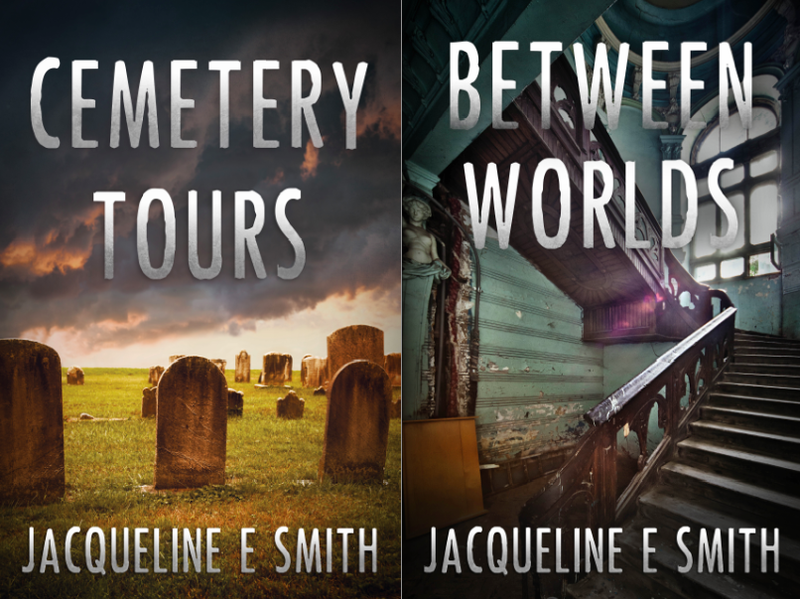 Check out Cemetery Tours by ME!” role. I feel like I sound like some sort of info-bot whenever I try. I’m a positive and overall happy person, but I’m also very blunt and to the point and I have an incredibly dry sense of humor. It’s so dry that I have friends who can’t tell when I’m joking. It’s not my style to treat my books like they’re something that needs to be hyped up. Which, let’s be honest, in my case, it does. The charade of confidence in self-marketing is an important one. But sometimes, I just really get sick of it. That’s not to say I’m not confident. I have the utmost confidence in my books. If I didn’t, I wouldn’t have published them in the first place. My very first manuscript remains unpublished to this day because I know it’s bad and needs a LOT of revision. But Cemetery Tours and Between Worlds are good. That’s why they’re out there. It’s also important, with self-marketing, to remember there is a fine line between good, honest self-promotion and HERE LET ME CRAM MY BOOK DOWN YOUR THROAT UNTIL YOU READ IT. Let me tell you it is hard to tread that line. As authors, we want to talk about our books and get people to read them. Furthermore, we want people to buy them so we can make some money! Maybe I’m supposed to say, “It’s all for the craft and I’d write for free,” which is true. I would totally write for the rest of my life no matter what. But come on. We all want to get paid for our work, and it’s not wrong to say so. Here’s the deal. I want people to read my books and enjoy them. I want to keep writing. I finished chapter 6 of my new YA book last night. I’m also in the midst of writing CT3. I’m going to keep writing no matter what. And I will self-promote as much as I have to. I love my work, and I hope this post doesn’t sound like I’m complaining. I know the path I’ve chosen and self-marketing is just part of it. I love my path. I wouldn’t have it any other way. On that note, go buy my books.